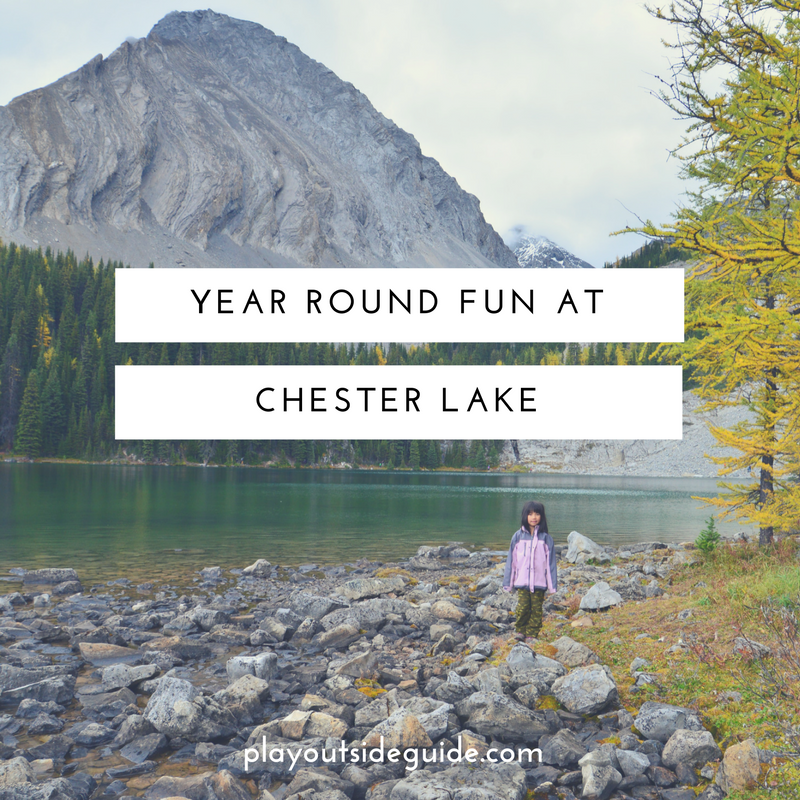 Chester Lake is a fun, year-round destination for hiking, snowshoeing, and cross country skiing. In summer, enjoy a picnic, swimming, or fishing at the emerald green lake. Feisty cutthroat and Dolly Varden prowl the crystal clear waters and can be seen (and caught) from shore. Afterwards, carry on to the Elephant Rocks for bouldering! 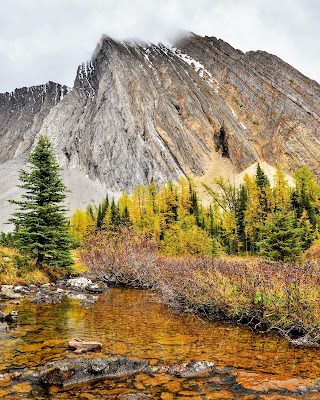 In fall, look for larches; and in winter, enjoy playing in the deep snow. From the north end of the parking lot, follow the Chester Lake sign up an old logging road. 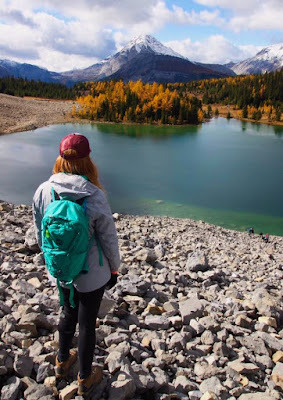 Although the first half is the steepest, it is moderate compared to Ptarmigan Cirque, Elbow Lake, or West Wind Pass, so you can make good time. Be sure to look back every so often for views across Burstall Pass; a welcome change in scenery. Trees to the left of me, trees to the right. Here I am, stuck in the middle with you. 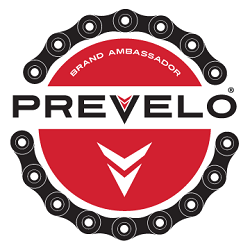 About 2 kilometres (and 200 metres of elevation gain) from the start, the trail narrows and is closed to mountain bikes. From here, there's just one more small climb (about 40 m gain over 200 m) before the trail levels off and takes you through clearings and forest. When you reach a large meadow guarded by dramatic Mount Chester, you're almost there! Watch for grizzlies as we saw extensive bear diggings in the meadow and beside the lake. 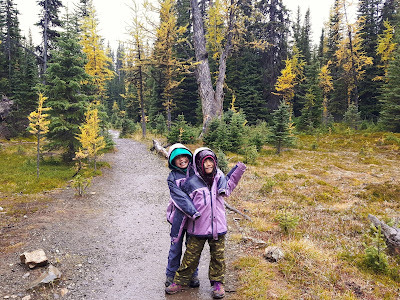 Small clearing & first larch sightings! Once you reach the jewel-like lake, you can go around it in either direction. Since my girls love bridges, we headed right first and found a picturesque snack spot near some larches. We then made our way to the other side of the lake where fish were jumping. 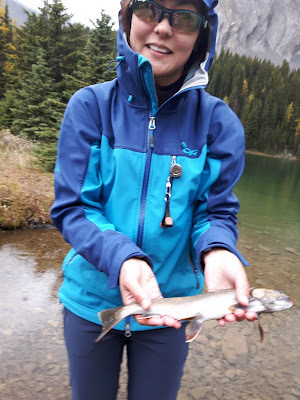 In less time than it took to set up our fishing gear, we reeled in two beautiful Dolly Varden! We could've fished all afternoon, but it started pouring, so we called it a day. Three degrees and rainy is brr, so imagine our surprise when two young women jumped in the lake! We returned the way we came and were back at the car in a speedy hour and 15 minutes. 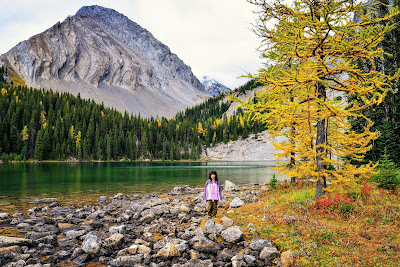 It had been a wonderful day in Kananaskis despite the weather! The Elephant Rocks - aka huge, funky boulders - are 5-10 minutes past the lake (there's a signed turnoff at the far end of the lake) and well worth the short climb. 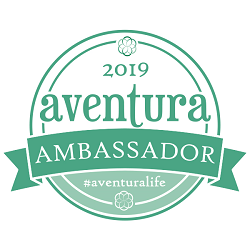 Thank you to Amanda McNally from Life In Alberta for these beautiful photos! 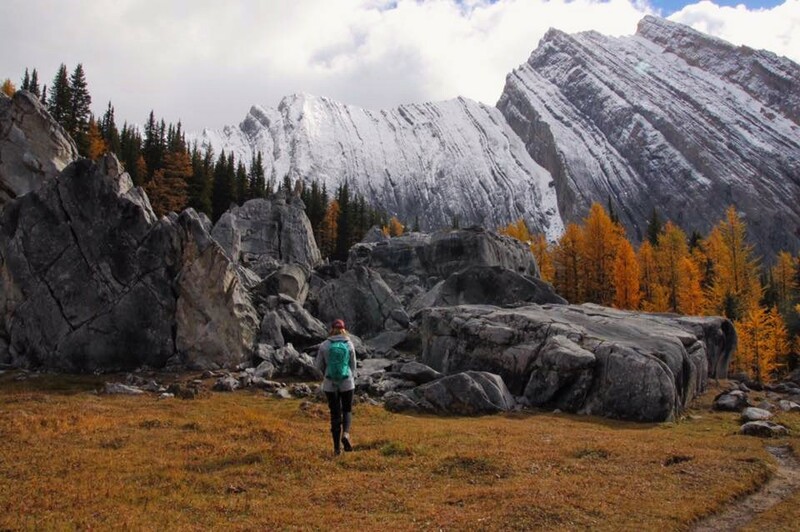 This popular trail tends to get packed down, so you can often hike it with ice cleats or microspikes instead of snowshoes. 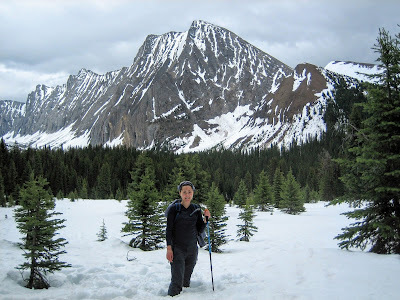 If you prefer puffy snow (that's the whole fun of snowshoeing, right? ), there is lots to be had on the side of the trail. Please respect the annual trail closure from May 1 - June 29 to allow the trail to dry out and stay off cross country skier-set tracks. This trail is in Class 1 Avalanche Terrain. For your safety, stay on trail and avoid avalanche slopes. If time allows, carry on to the Elephant Rocks. Leigh McAdam has some cool photos from her winter trip to the Elephant Rocks here. See the Alberta Parks Sawmill/Chester Snowshoe Trail Map here. The snowshoe trail is in red and is 7.2 km return, 287 m elevation gain. The cross country ski trails are no longer groomed, so you will need light touring or backcountry skis to get to Chester Lake. See the Alberta Parks Sawmill/Chester Cross Country Ski Trail Map here. The ski trail is in blue and is 6.7 km return. To access groomed cross country ski trails in Peter Lougheed Provincial Park, go to Pocaterra, Peter Lougheed Visitor Centre, Boulton Bridge, Mount Shark, or Elk Pass. No user fees. Directions from Calgary: Take Hwy 1 westbound. 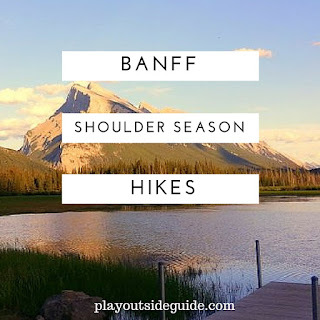 Take the turnoff to Kananaskis Country / Hwy 40S. Continue for 50 km. Turn right onto Kananaskis Lakes Trail. In 2.2 km, turn right onto Smith Dorrien Trail. Continue for 20 km. The Chester Lake parking lot is signed and on the right. Trailhead: On the far side of the parking lot (furthest from the entrance). Washrooms: Outhouses at the trailhead and at the lake. Stroller Friendly? Maybe. You could bring a Chariot here, but about 200 metres of the trail is quite steep and has log cribbing on it (see photo below). Be prepared to lift your Chariot over several of these for about 200 metres. 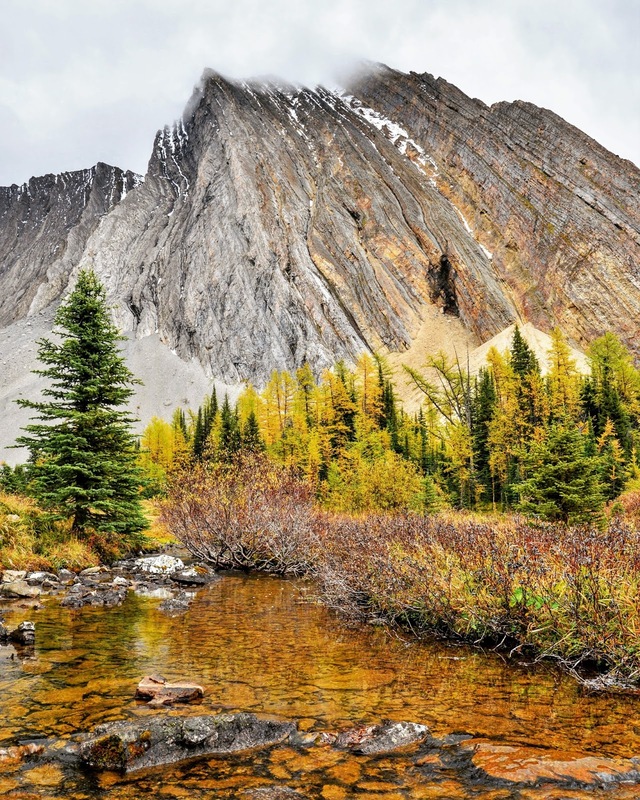 Chester Lake shares its name with a Law & Order detective, but is actually named for a First World War battleship (as are Indefatigable, Invincible, Arethusa, and other peaks in the area). You can mountain bike the first 2 km of the trail. Chester Lake is the only place in Alberta you can fish for Dolly Varden! They were illegally introduced to the lake, but a limit is in place due to the harsh alpine environment. 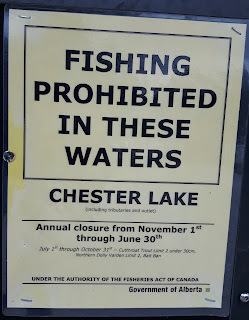 Please check the Alberta Fishing Regulations before you go. There is a seasonal trail closure from May 1 - June 29 to allow the trail to dry out (it gets a TON of snow in winter). 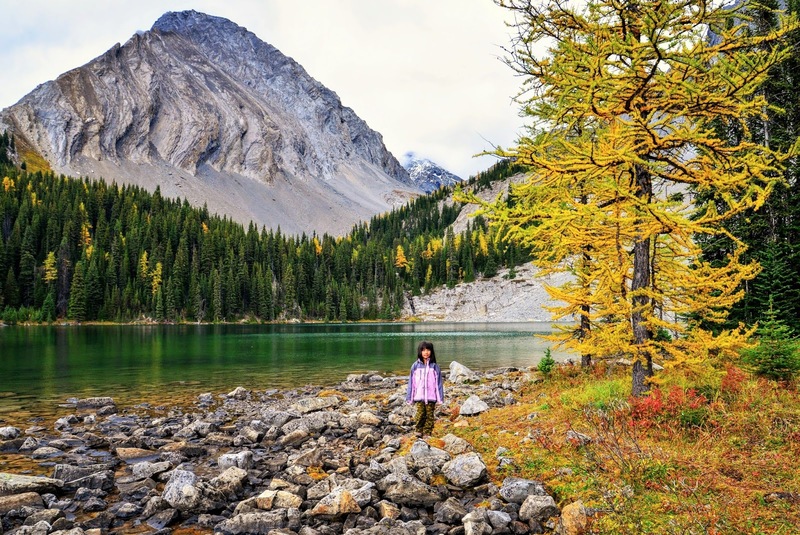 An Alberta Parks employee told me Chester Lake is known as "The Grizzly Nursery". Be bear aware and carry bear spray. 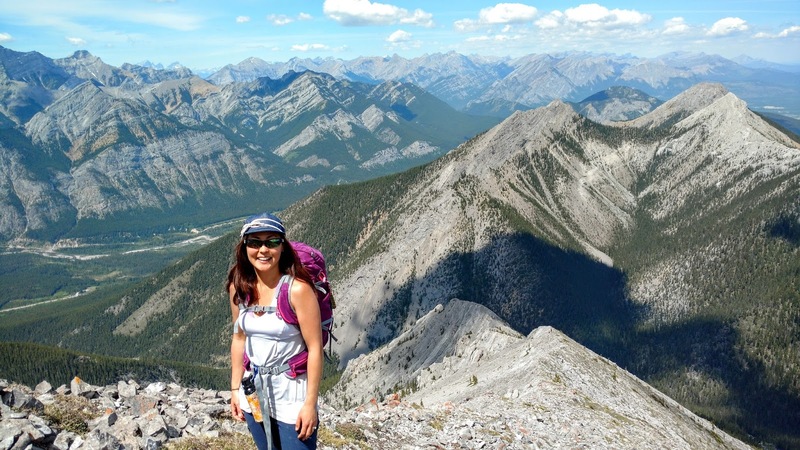 For more information, please see my 10 Bear Safety Tips for Hikers and Backpackers. This trail is quite popular, so arrive early to get parking. If the lot is full, park on the side of the road across Smith-Dorrien Trail. 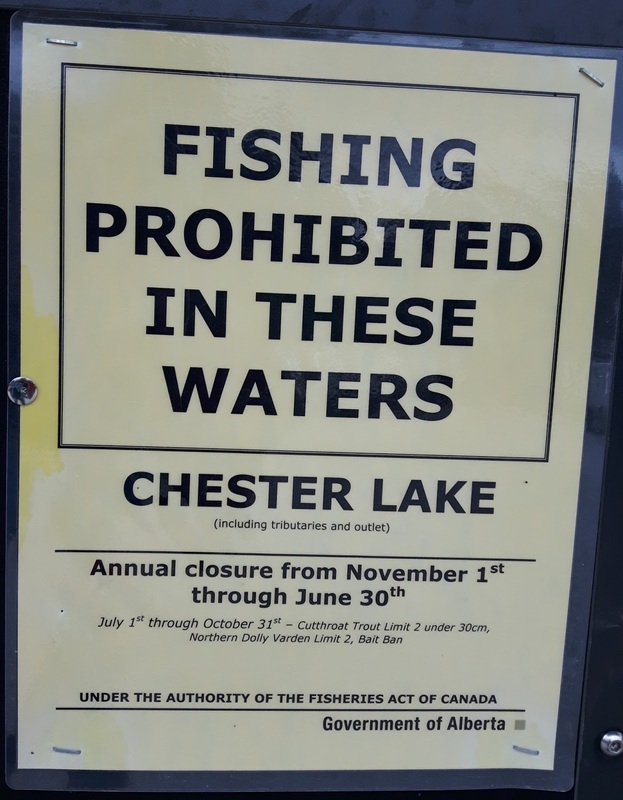 An annual fishing ban is in effect from November 1st to June 30th. 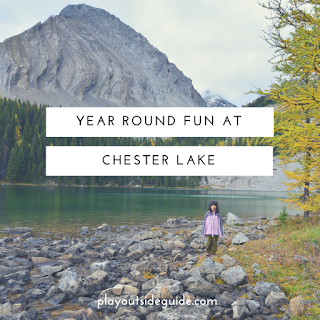 When is your favorite time of year to visit Chester Lake?